Monogram Necklace - I've explored Etsy and local producers for this monogram necklace. There are a lot of excellent manufacturers to choose from. Unfortunately, the hefty price tag prevents me from investing to this piece of personalized jewelry. If I will have more freelance works next year, this can serve as my next project. I particularly prefer the version in white gold .... which is definitely more expensive. Unique Wooden Dining Chairs - This has remained as a promise for my family. Late last year, I was about to purchase a similar wooden chair from a neighborhood sash factory. Unfortunately, the owner can't wait for my 13th month pay. He sold the design to another buyer. Book Shelf and Working Table - Exactly like this! My books and my laptop are contained in one area. Vita Fede's Leather Bracelet - Another very expensive want!!! The last time I checked, a simple leather bracelet from Vita Fede costs around Php 6,000?!? This Cath Kidston Wallet - The blue version is already on sale on Cath Kidston's site. Blue is my favorite color but I'm beginning to prefer the lighter color. Lacoste's Women Polo Shirt - Yes, it has to be in blue! When I have the money to acquire one, I hope there will be decent sizes available for me. 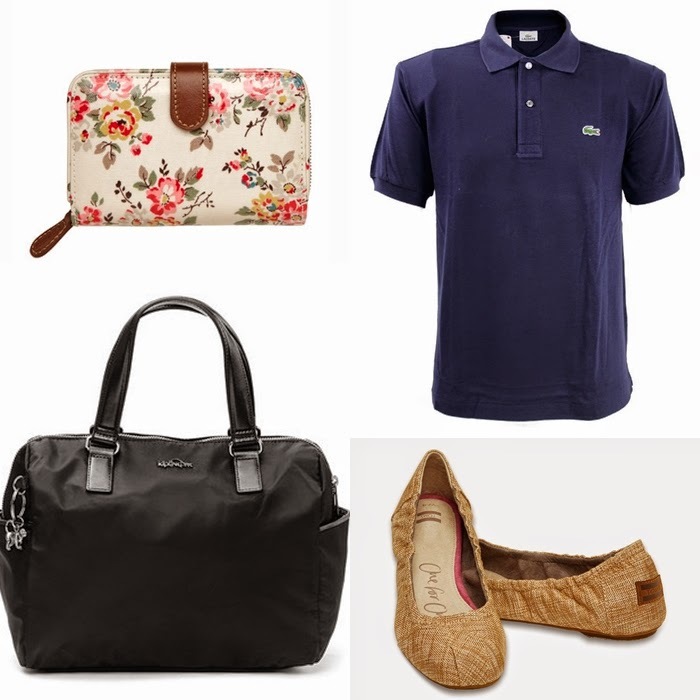 Kipling's Beonica Shoulder Bag - So expensive at Php 7,200 from Zalora Philippines!!! I'm trying to use my discount codes only to later discover that it will never happen. This item is excluded in Zalora's promos. Tom's Ballet Flats in Shinny Ivory Burlap - My size is no longer available in Toms' online store. I checked local retailers and learned that this style is no longer available. My only hope is Amazon and the Black Friday Deal. 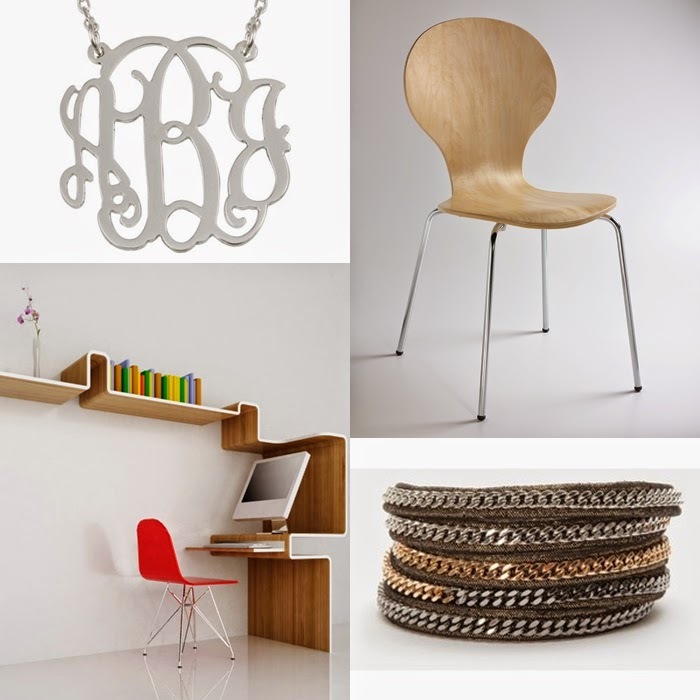 I think we all have some sort of wish list that we dream about :) Those monogram necklaces are really popular! The CK wallet is pretty. Best to wait until the Black Friday sales :) Good luck and hope your week is off to a good start! Actually, two years back, lalabas sa approx. 4K lang ang isang chair. Not Starcke though. Aba, pag may nakita pa tayong ibang may gusto, why not?! Baka dalawa na kuhanin ko. Hehehehe, nagpaplano na ako. i wanted to buy ballet flats too. i don't think we have Toms here kaya yosi samra lang or payless yung pag-asa ko. :) i love that color you prefer, btw. Amazon and eBay ang pag-asa naten :) local toms retailers would sell at around 4,500?!@#? I made several attempts buying online especially those from online stores in UK or US. However, the taxes and shipping fee is very steep. Is it really that expensive? What an awesome chair that is, and a girl can never have too many ballet flats, can we? swarovski earrings to dress themselves, enhance their charm.